Help create a safe, sustainable, welcoming campus that supports student success into the future! View results from the spring 2018 feedback event, and help refine CSUF's vision through interactive displays. 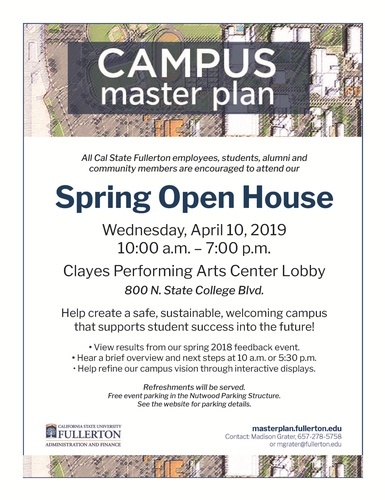 Watch for details at masterplan.fullerton.edu.